Joachim Devillé (born 1978, Halle Belgium) lives and works in Brussels, Belgium. 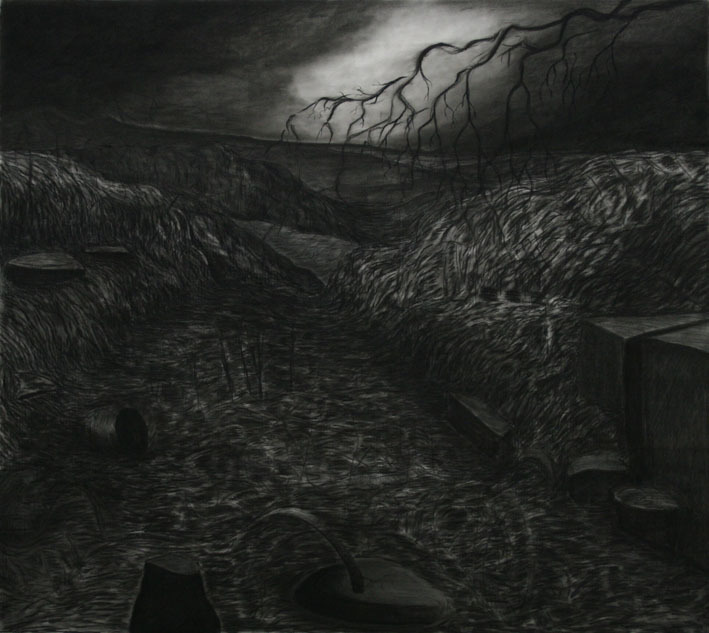 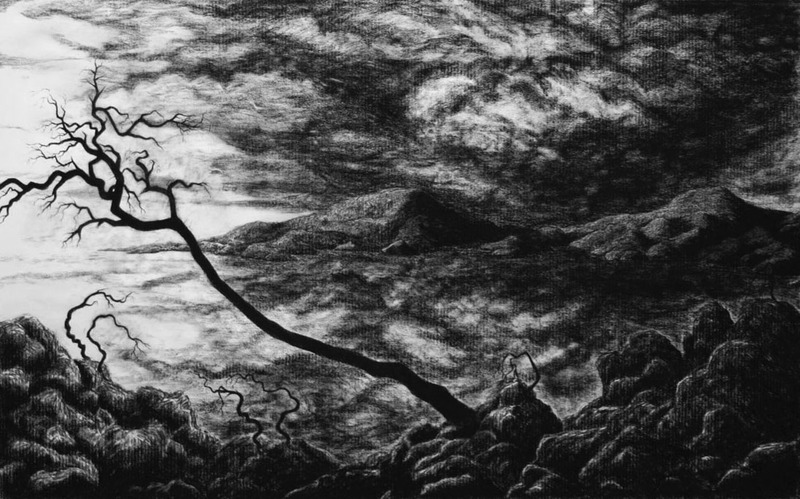 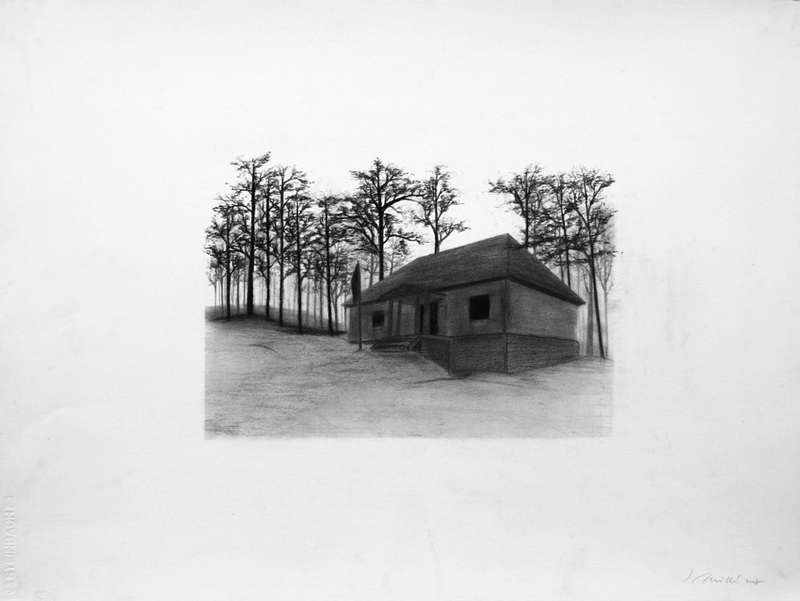 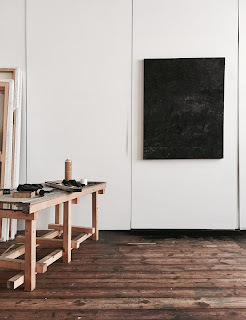 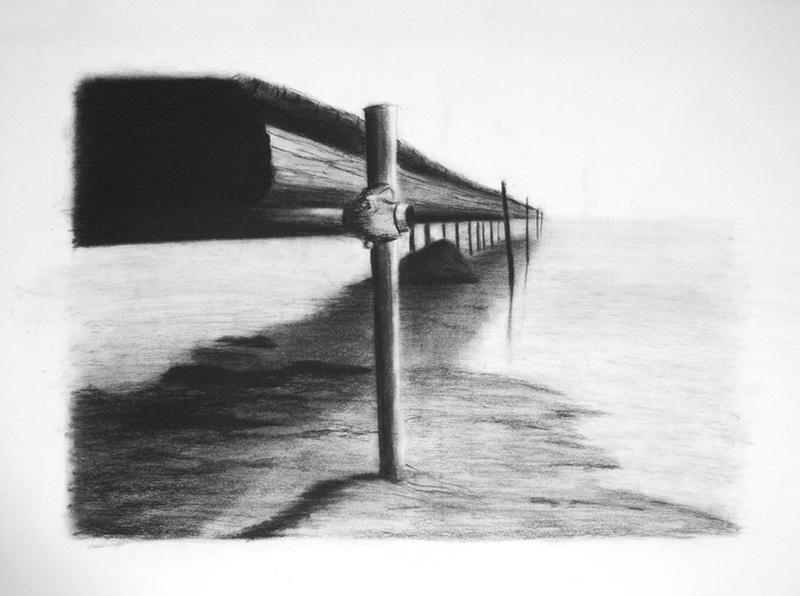 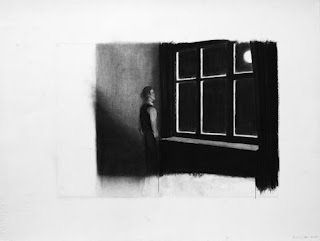 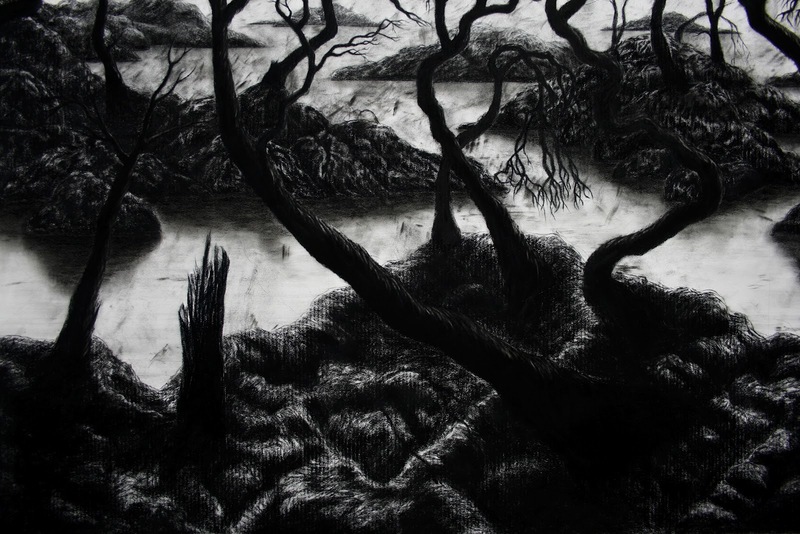 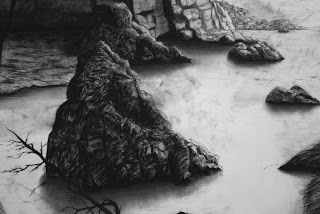 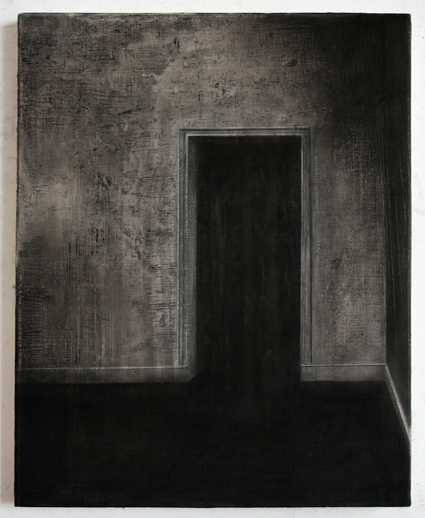 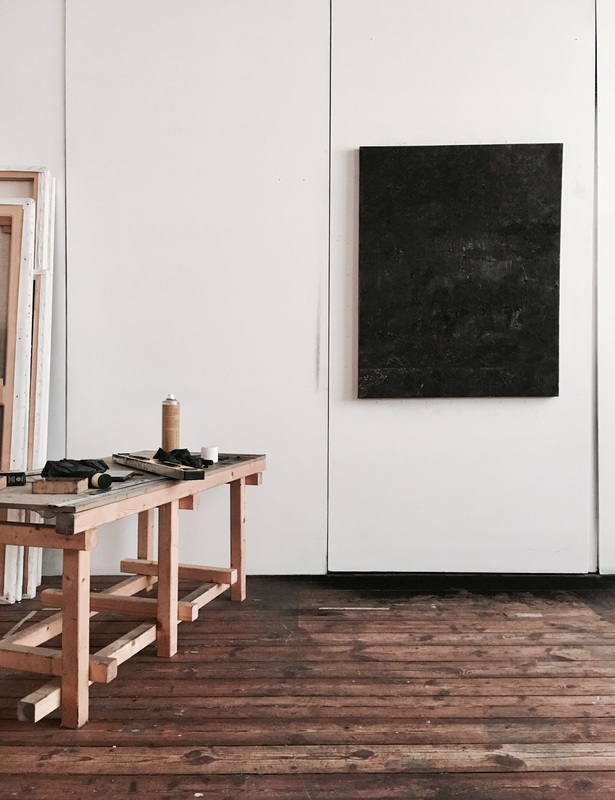 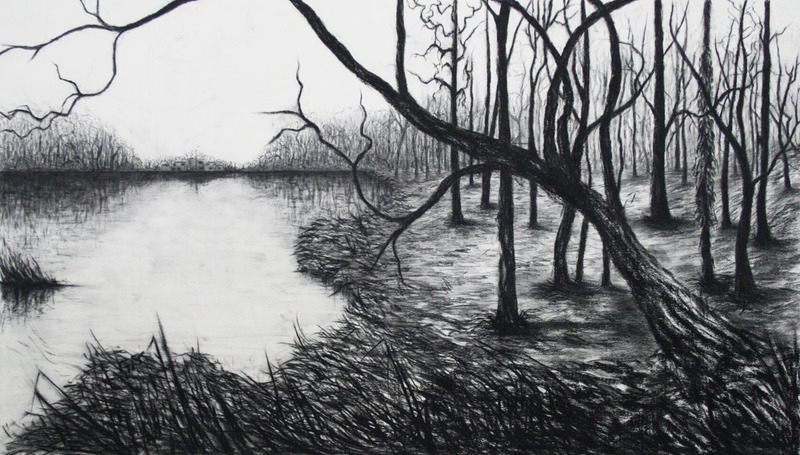 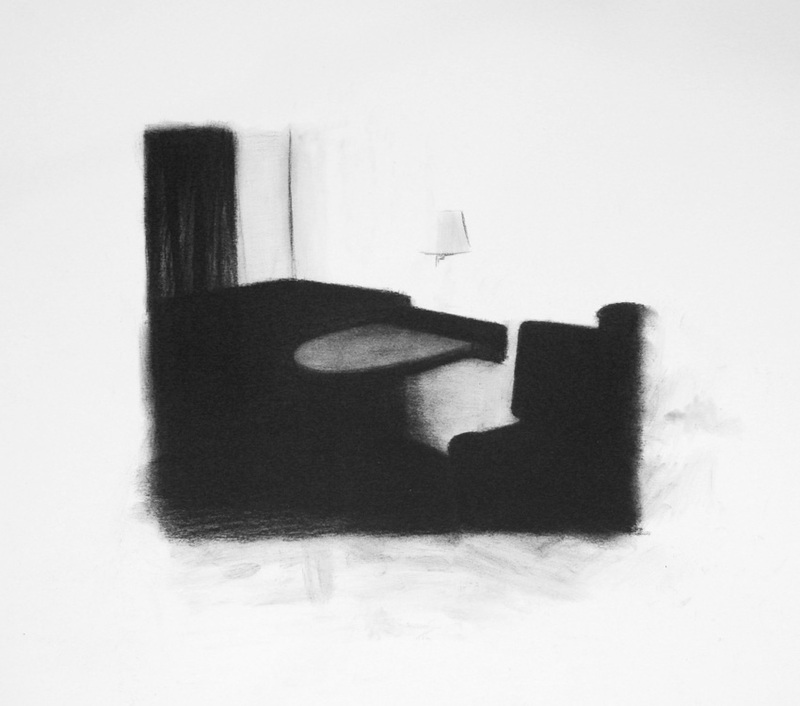 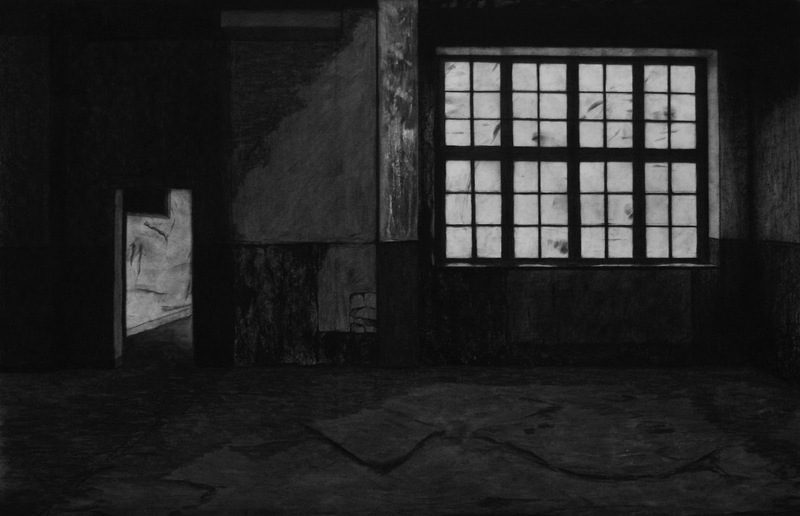 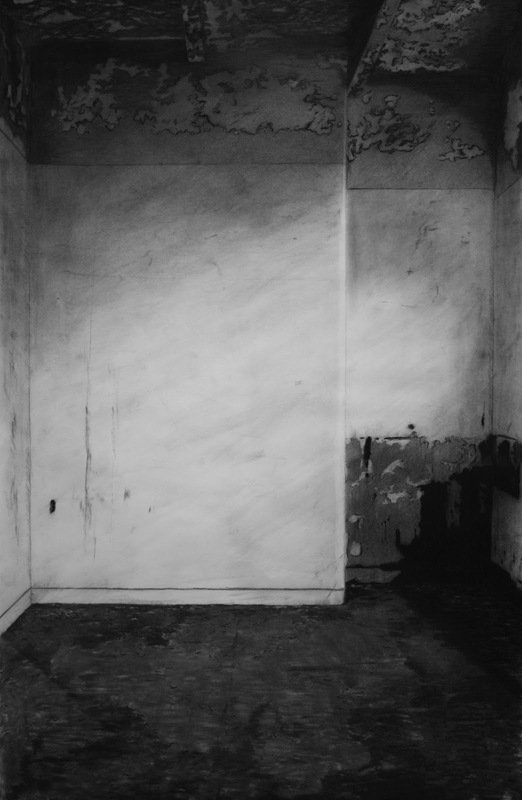 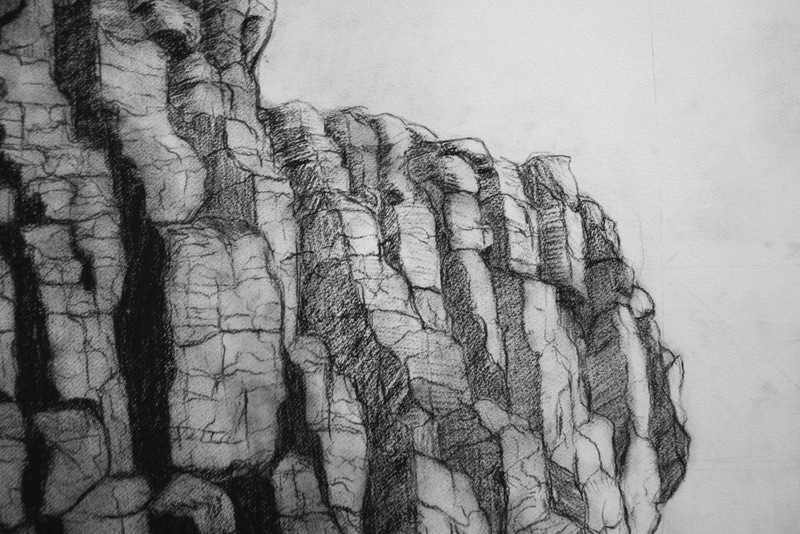 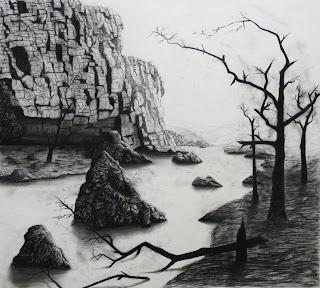 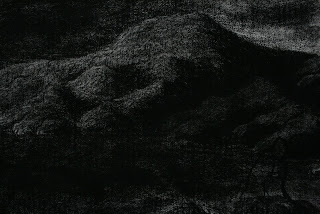 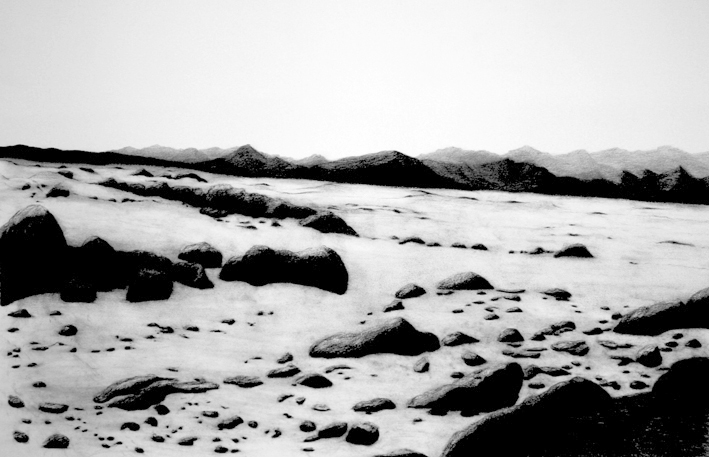 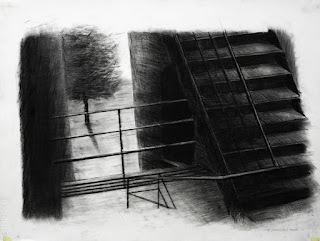 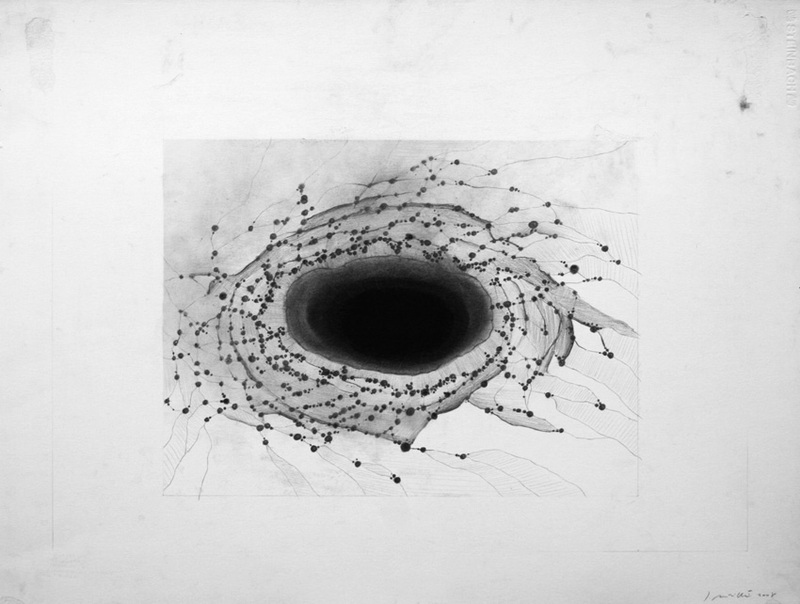 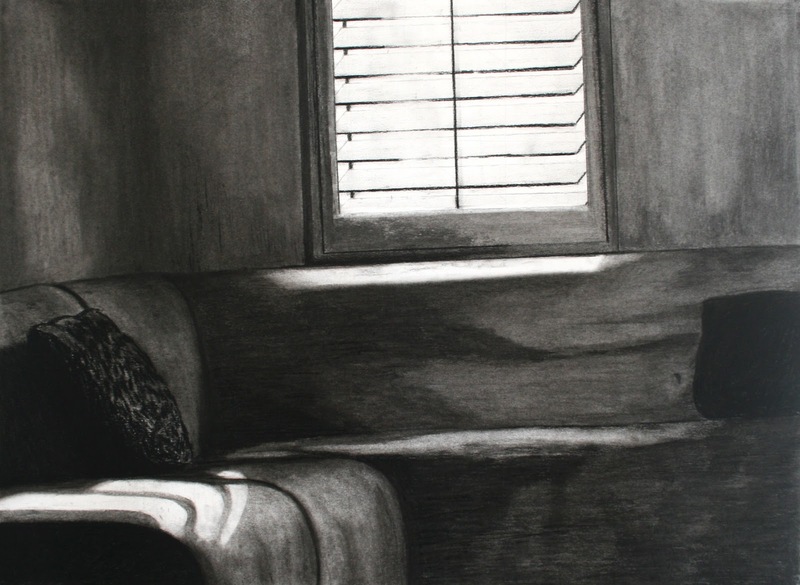 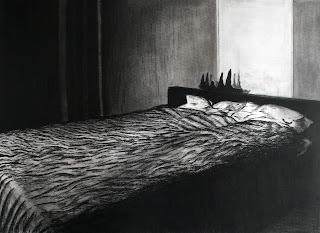 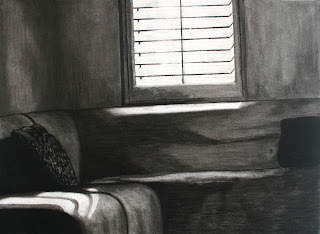 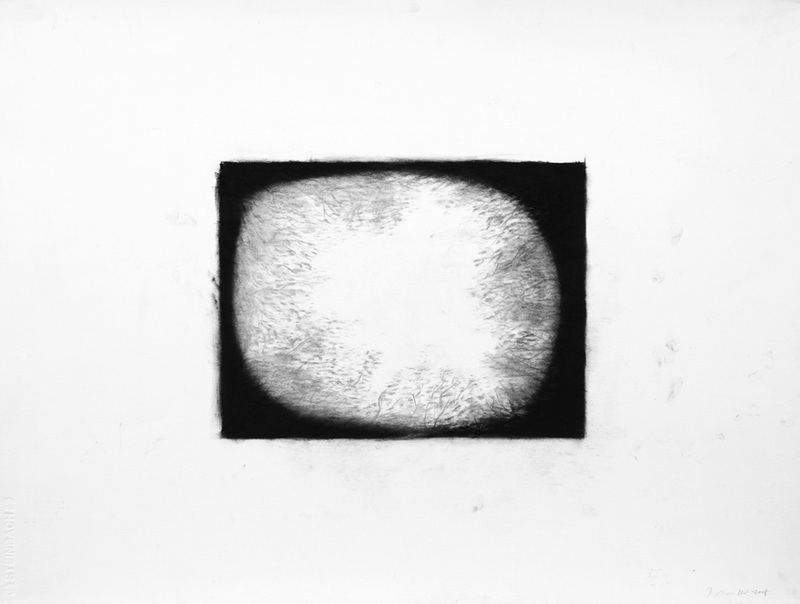 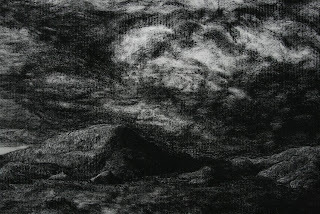 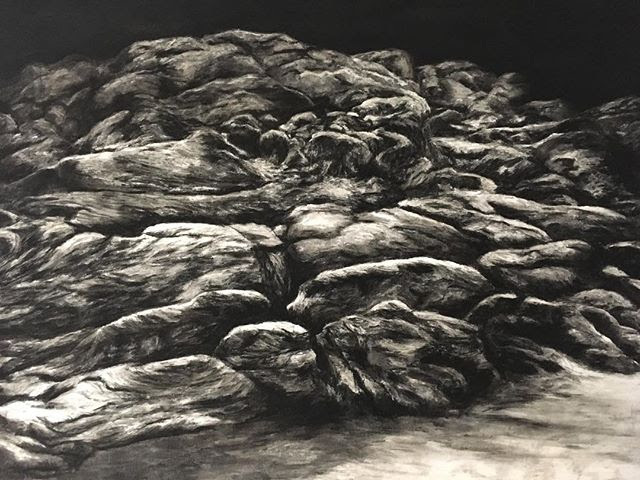 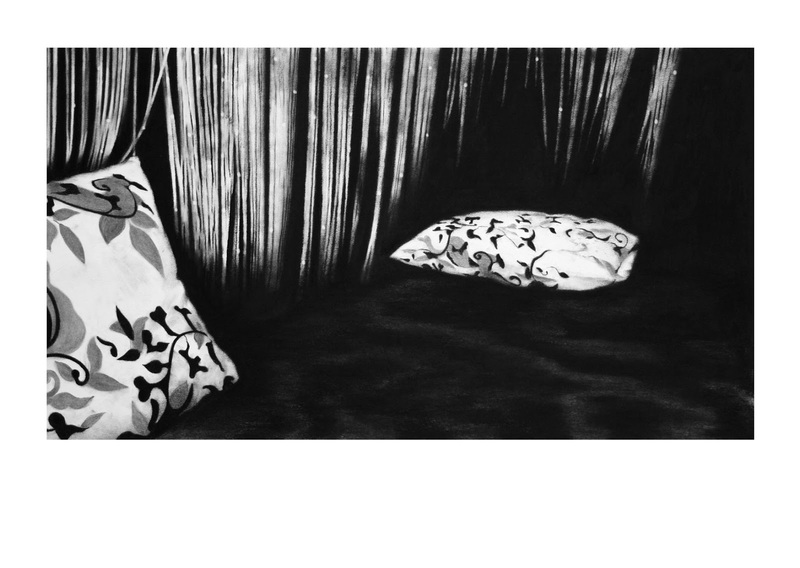 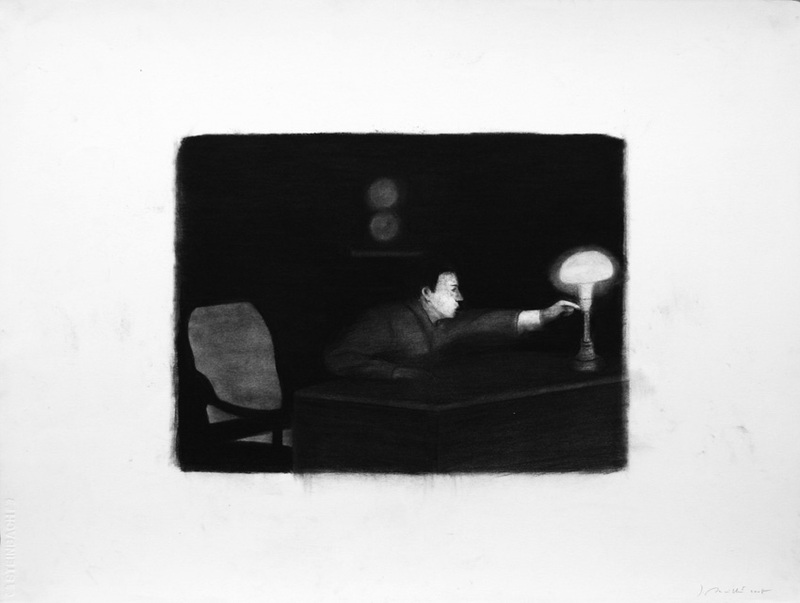 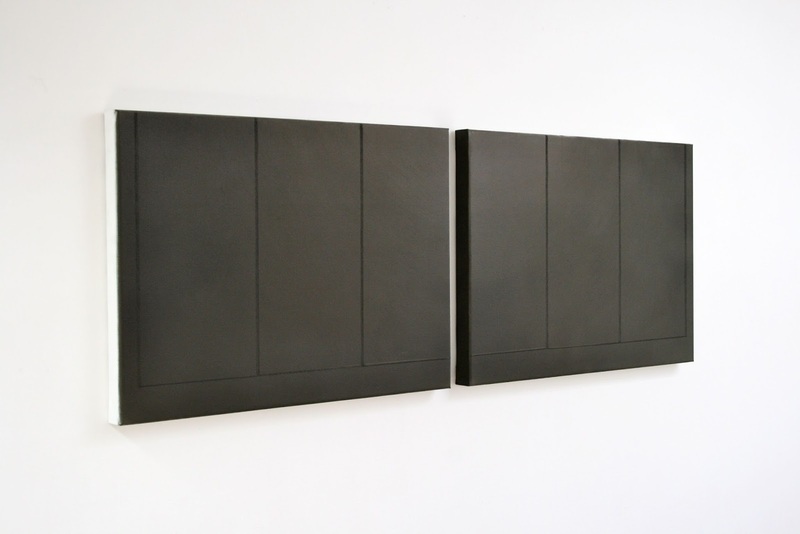 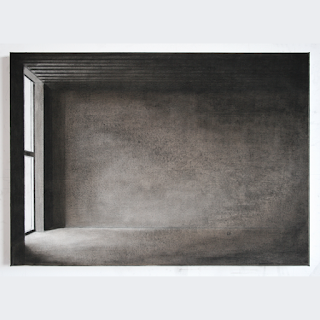 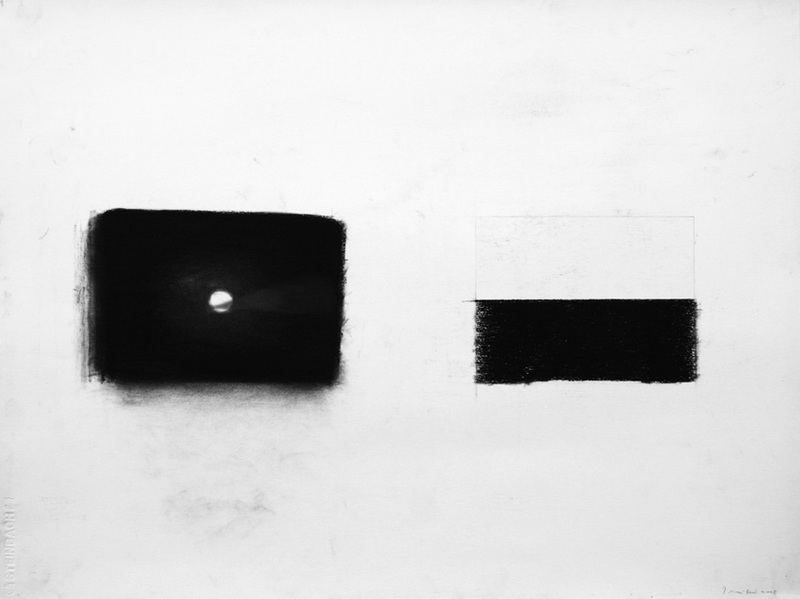 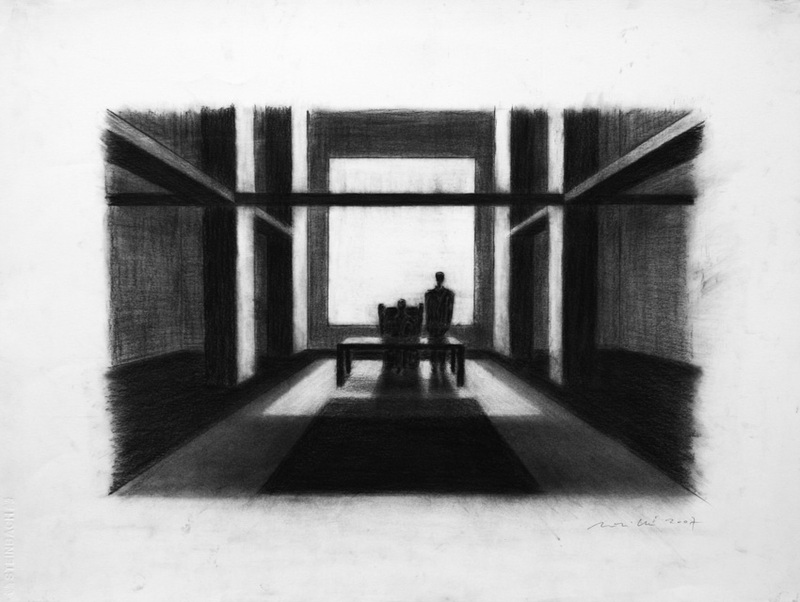 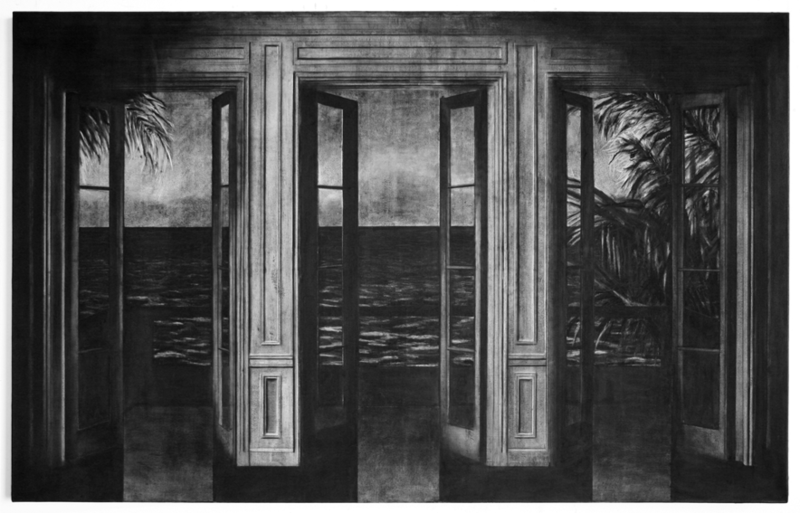 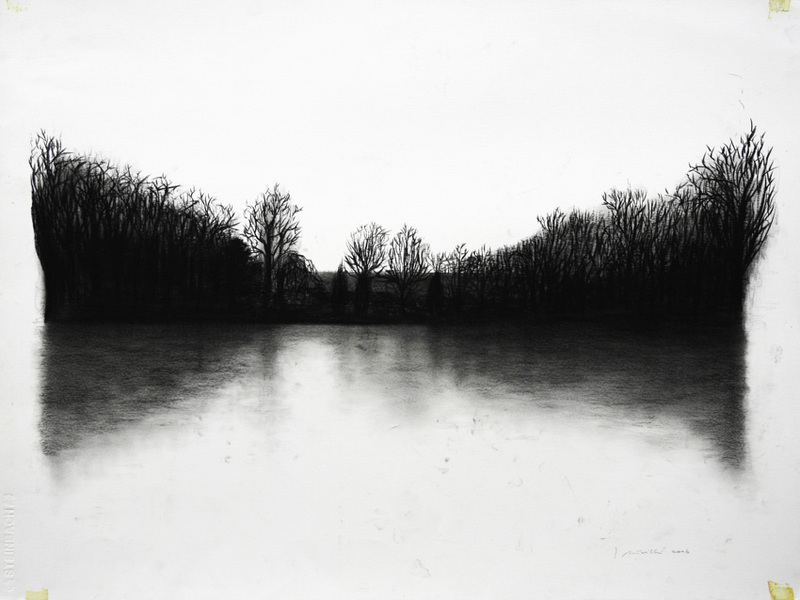 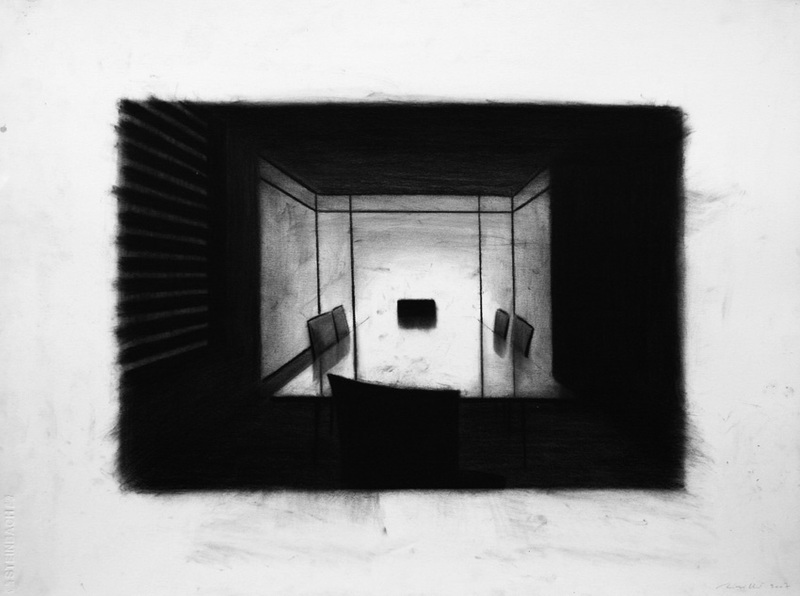 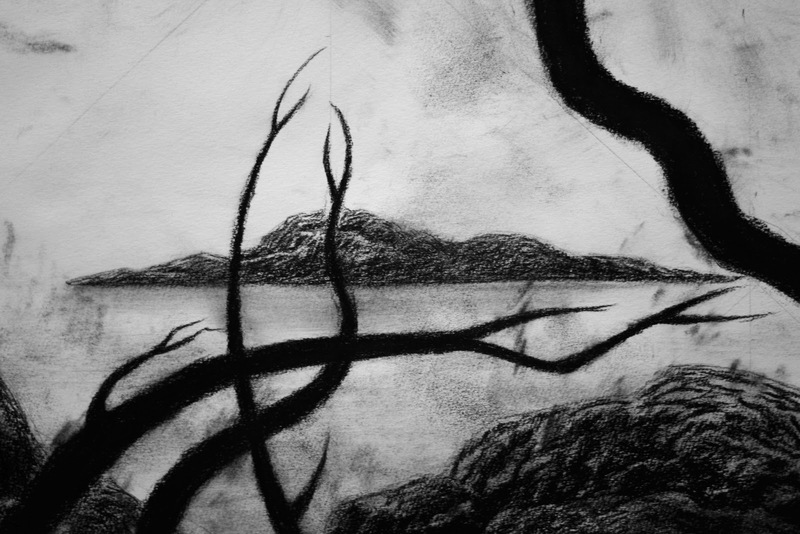 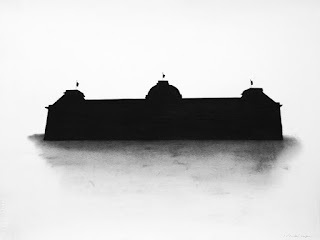 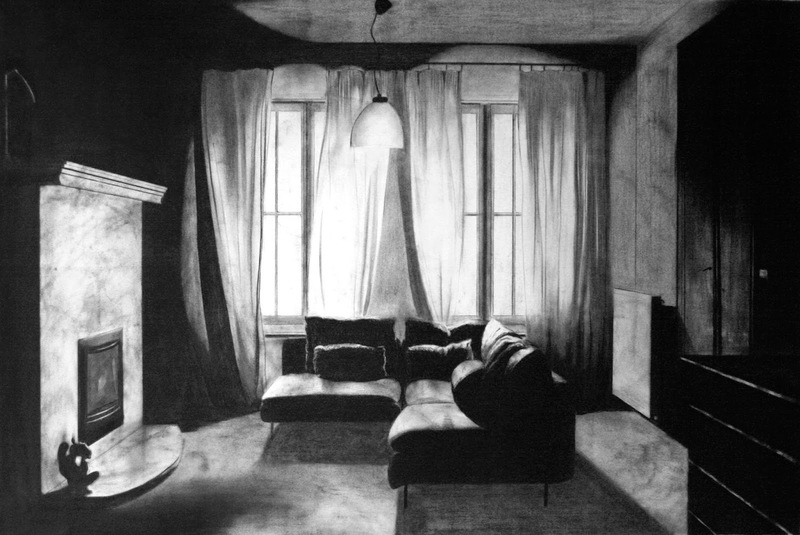 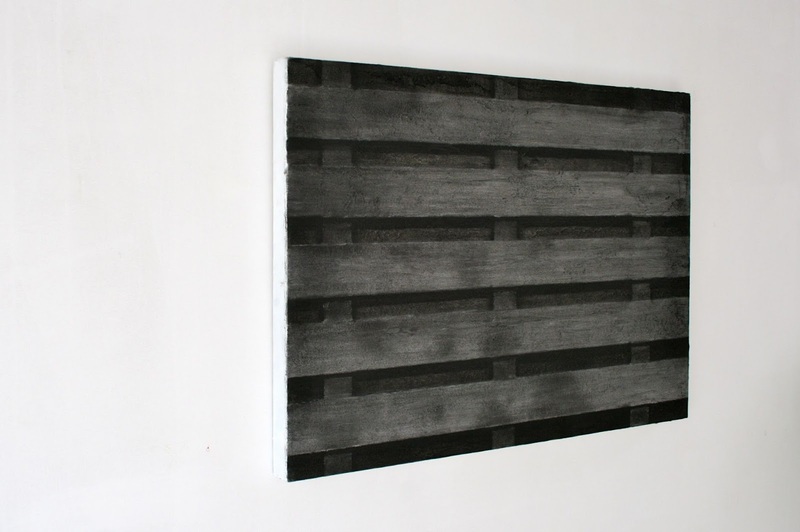 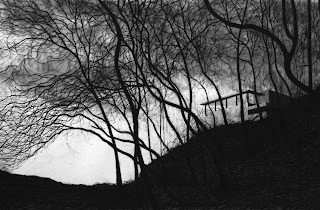 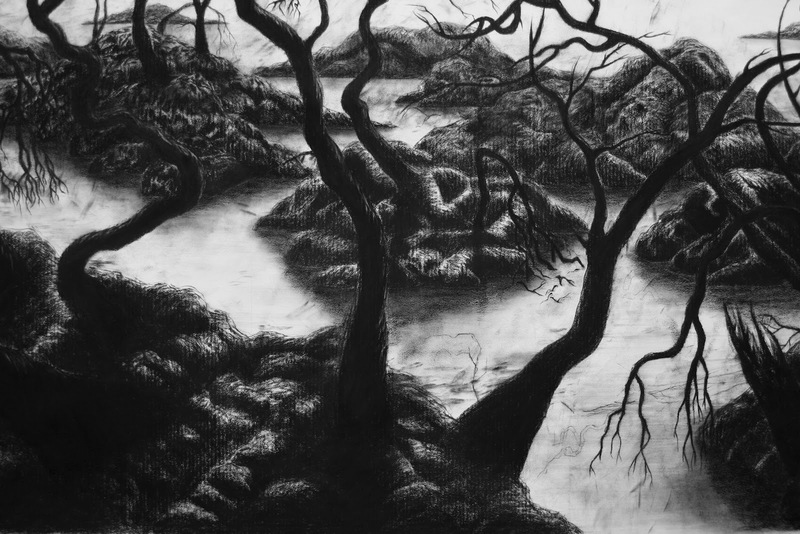 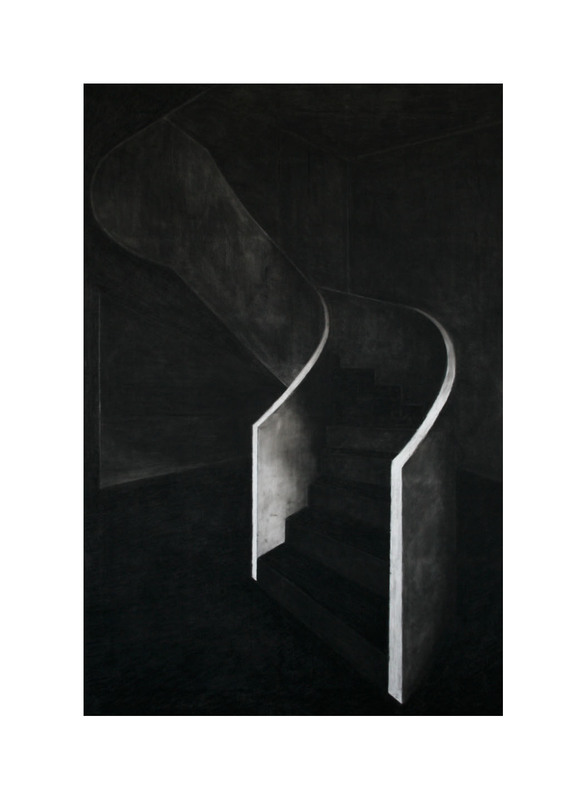 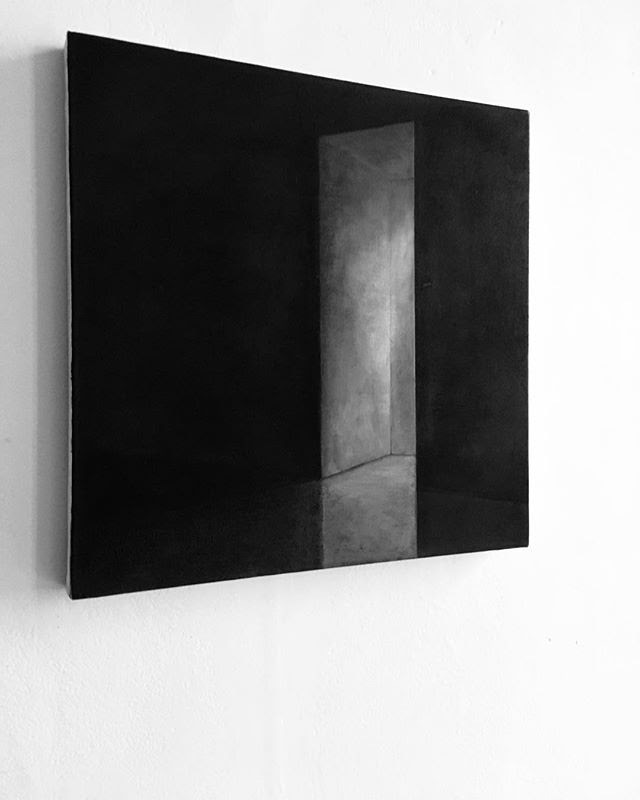 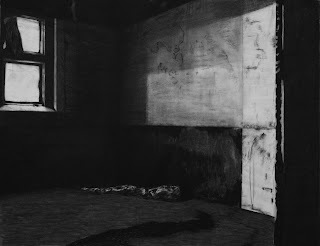 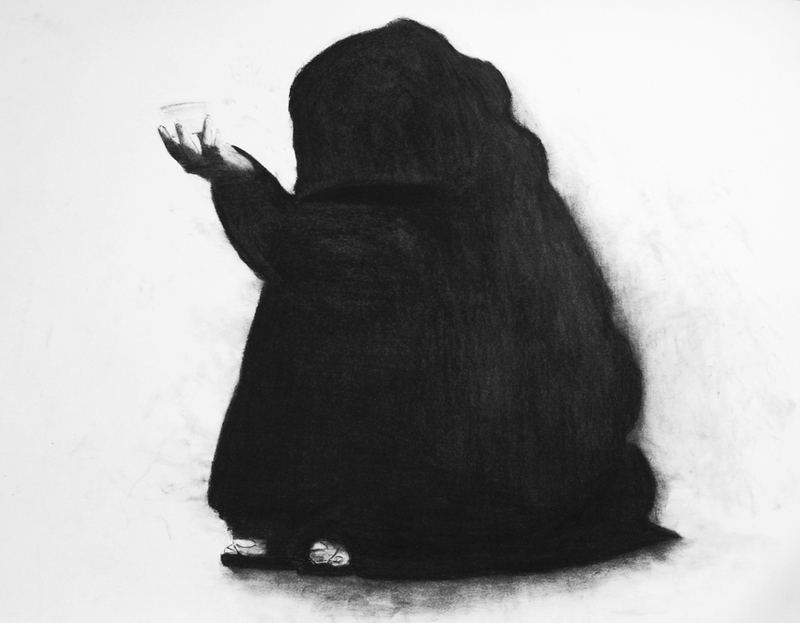 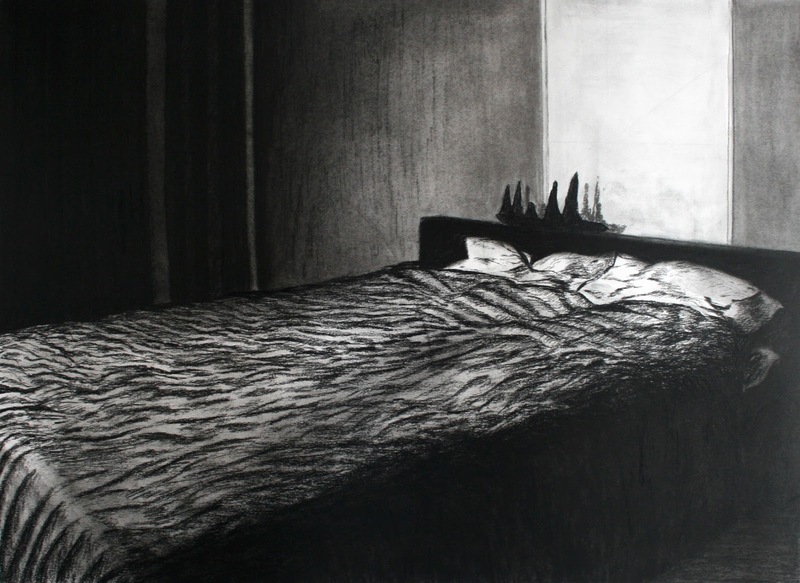 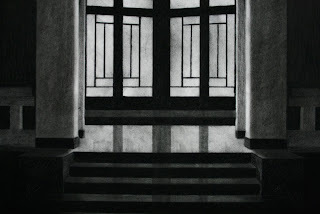 In the last 3650 days Joachim Devillé has mainly worked with charcoal. 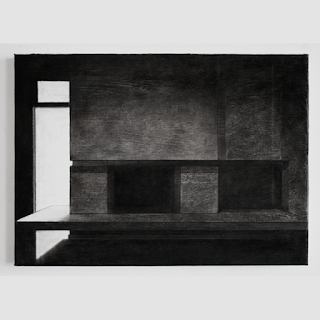 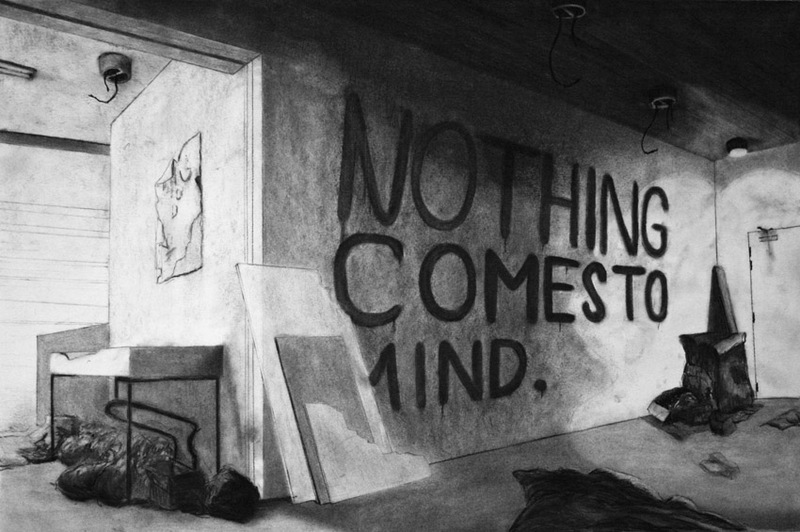 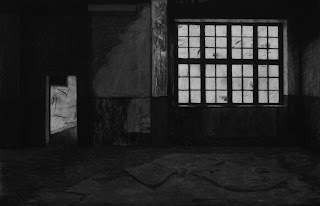 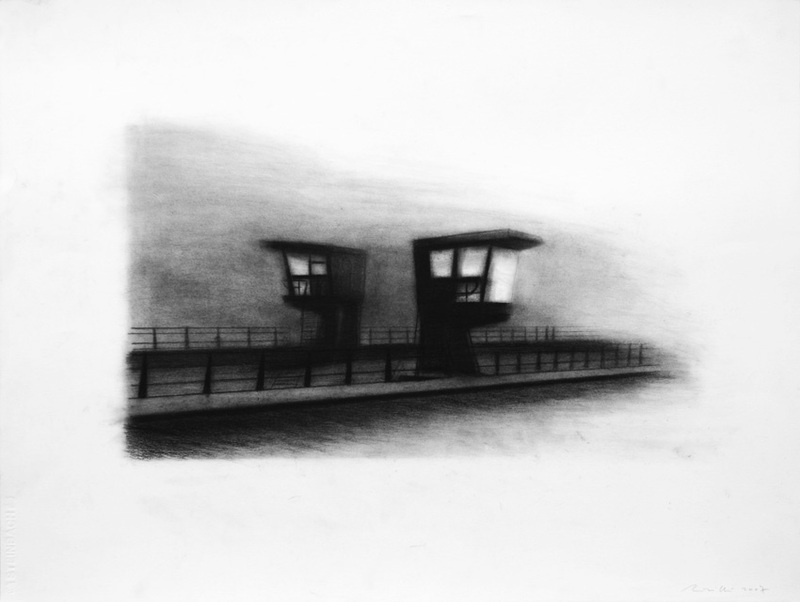 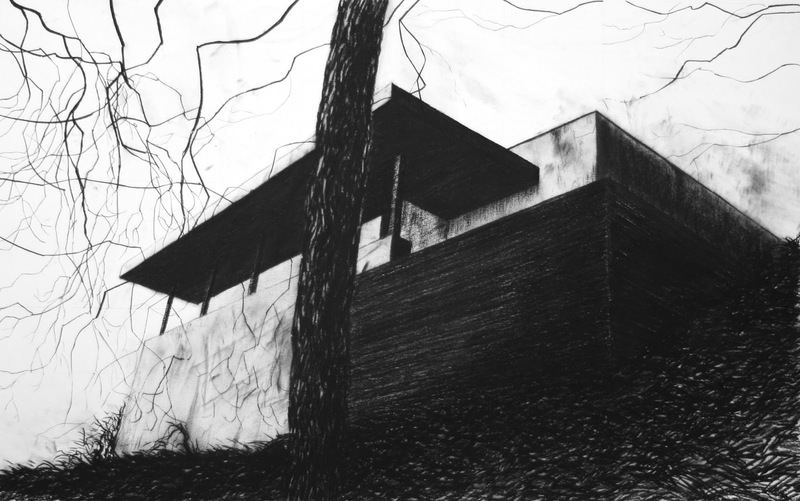 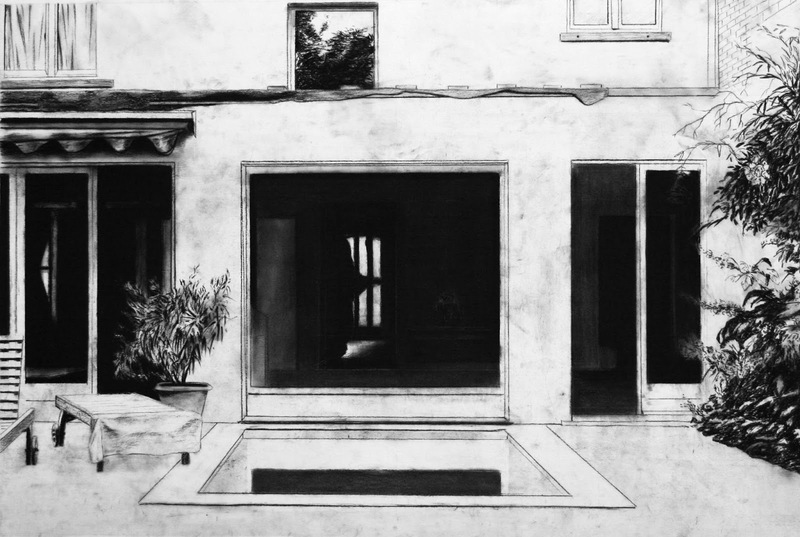 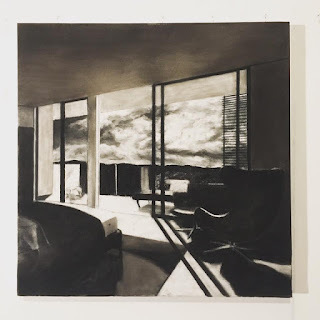 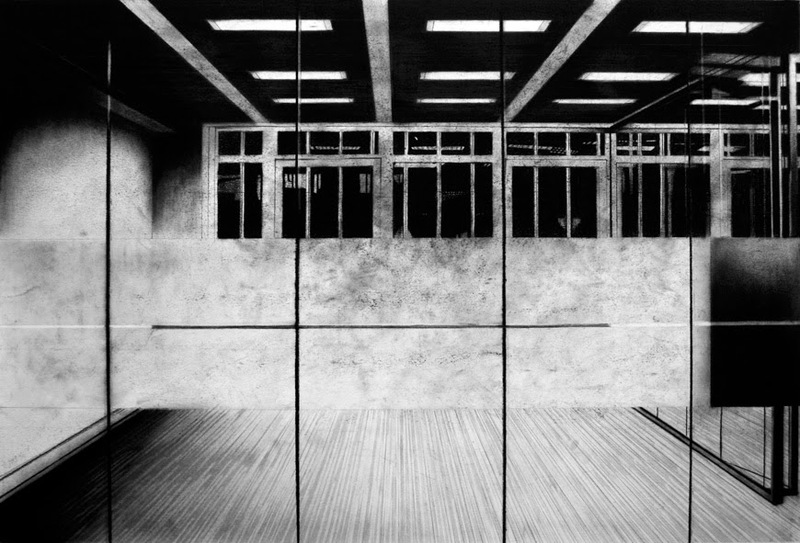 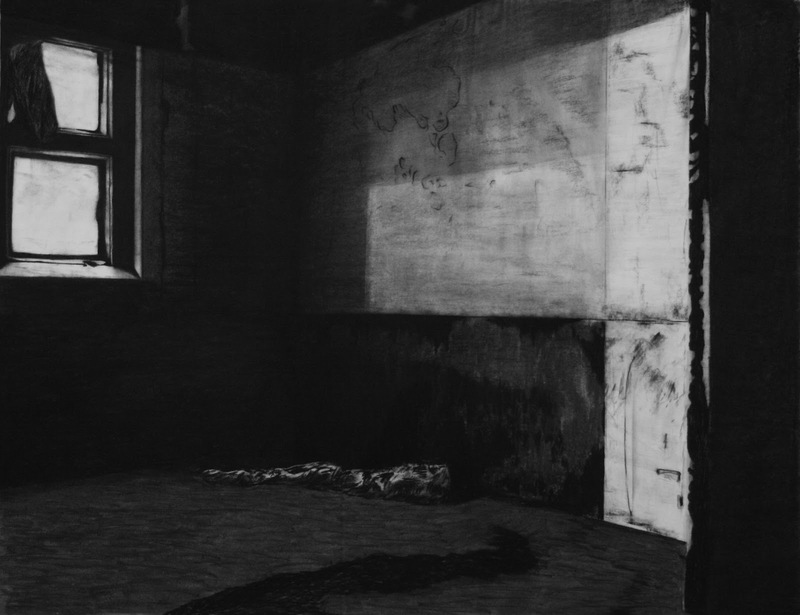 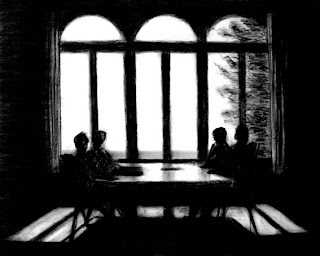 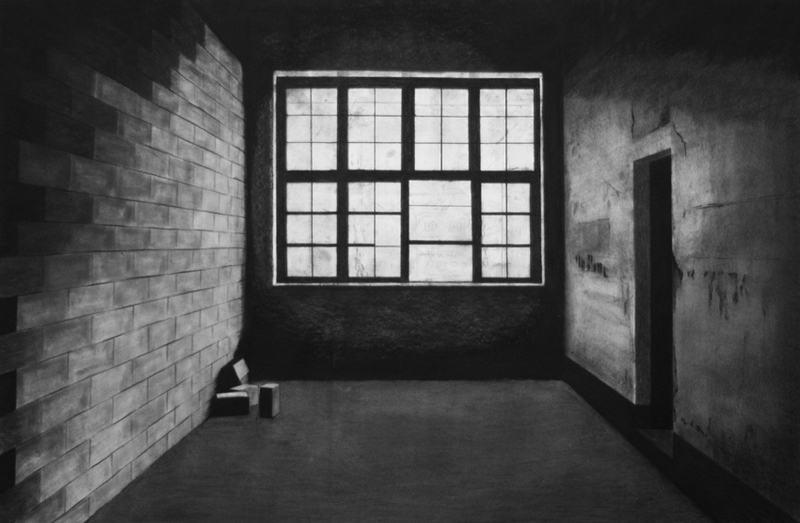 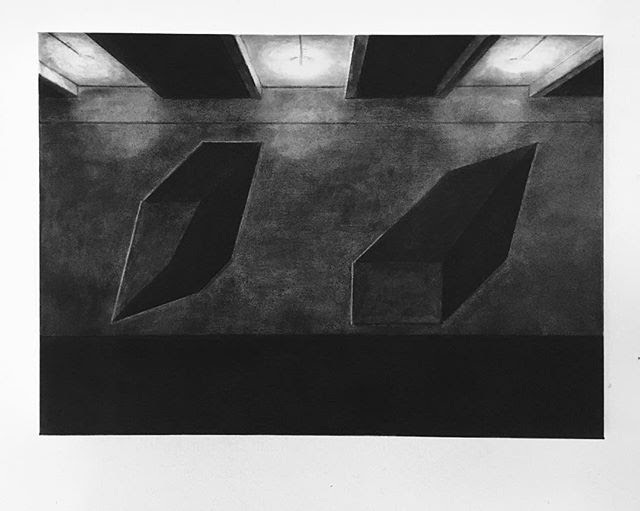 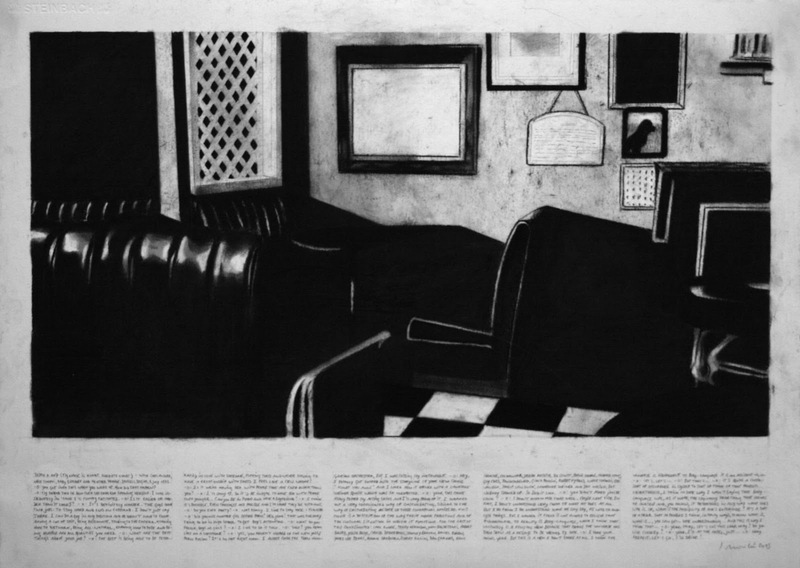 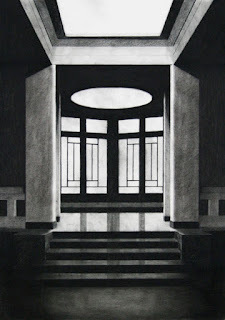 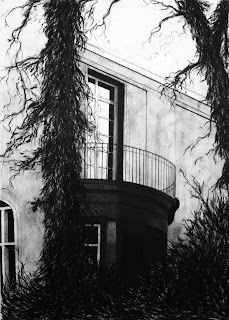 With drawing as a full-fledged medium he works on a desolate, dark and surprising discourse, in which empty, deserted architectural environments (empty luxury real estate, offices, industrial buildings) and landscapes occupy a prominent role. 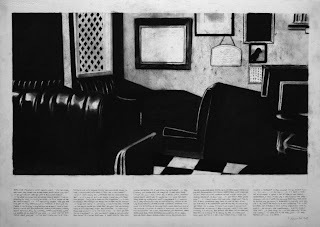 They are the tale of a disrupted society, in which the illusions of the unattainable ideals, nowadays mainly luxuriantly reflected in social media, are questioned cold-bloodedly. 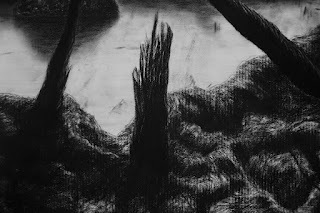 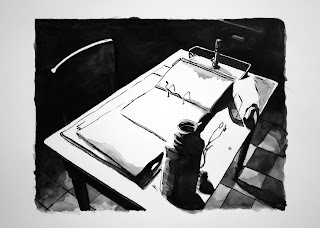 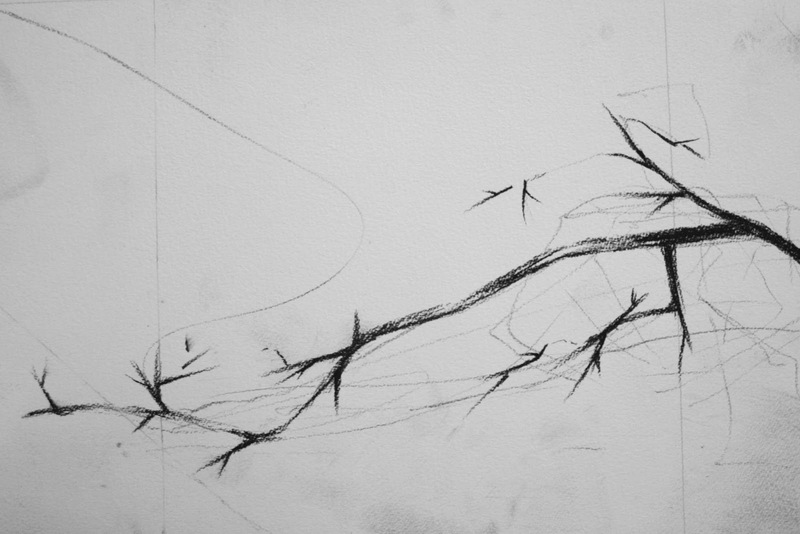 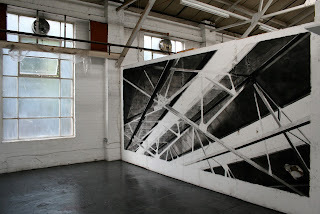 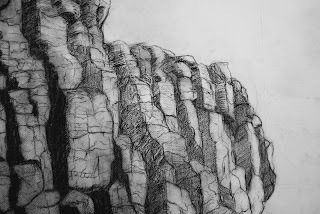 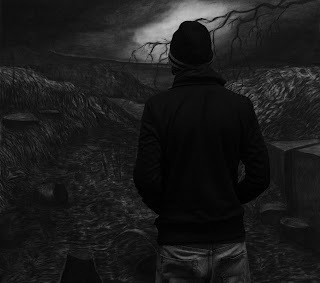 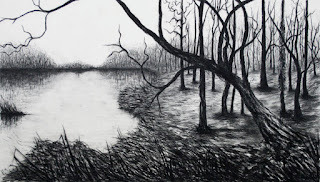 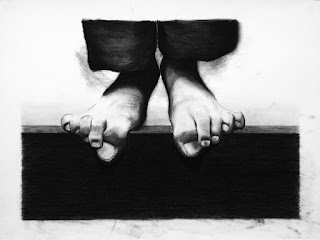 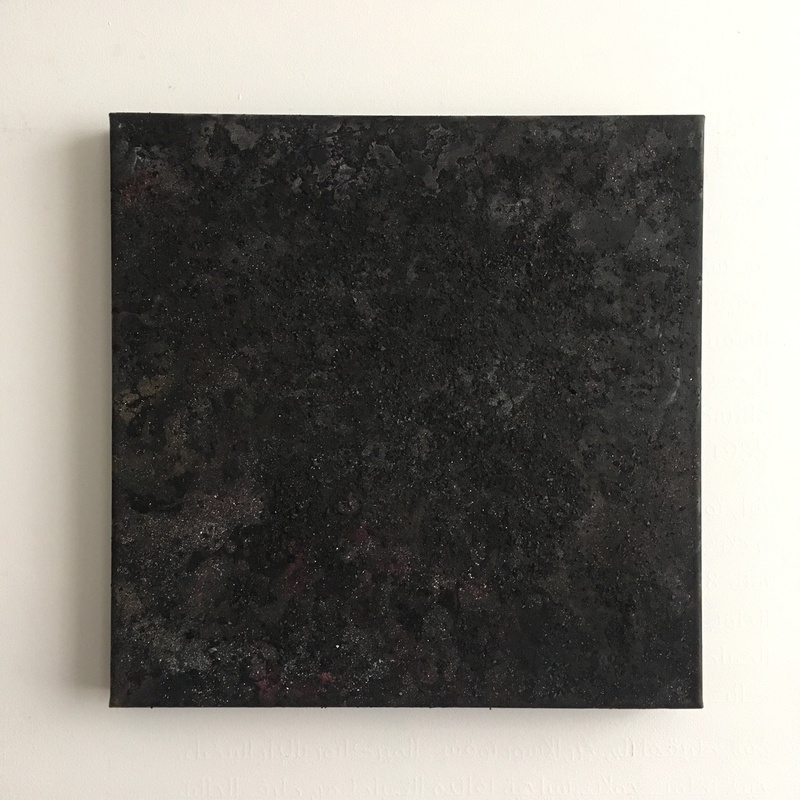 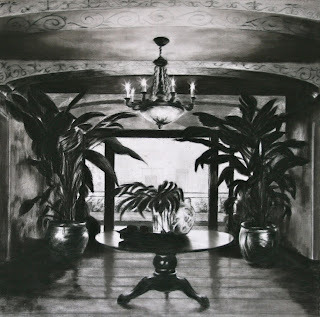 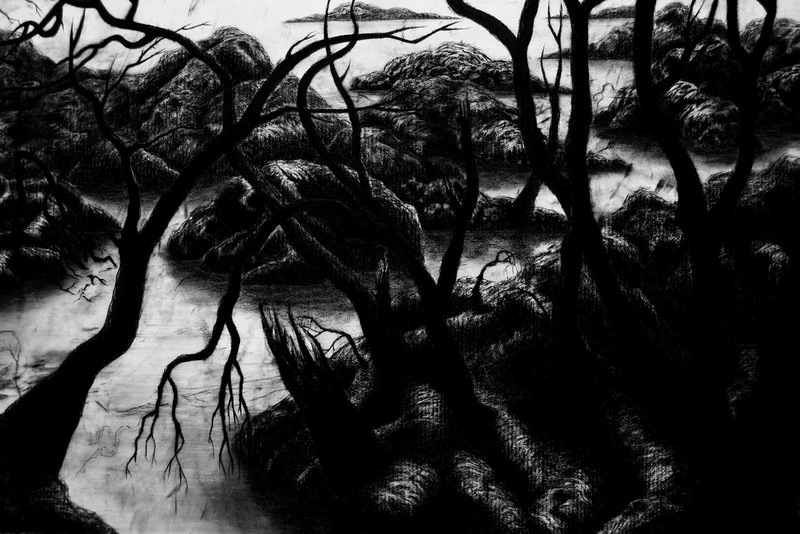 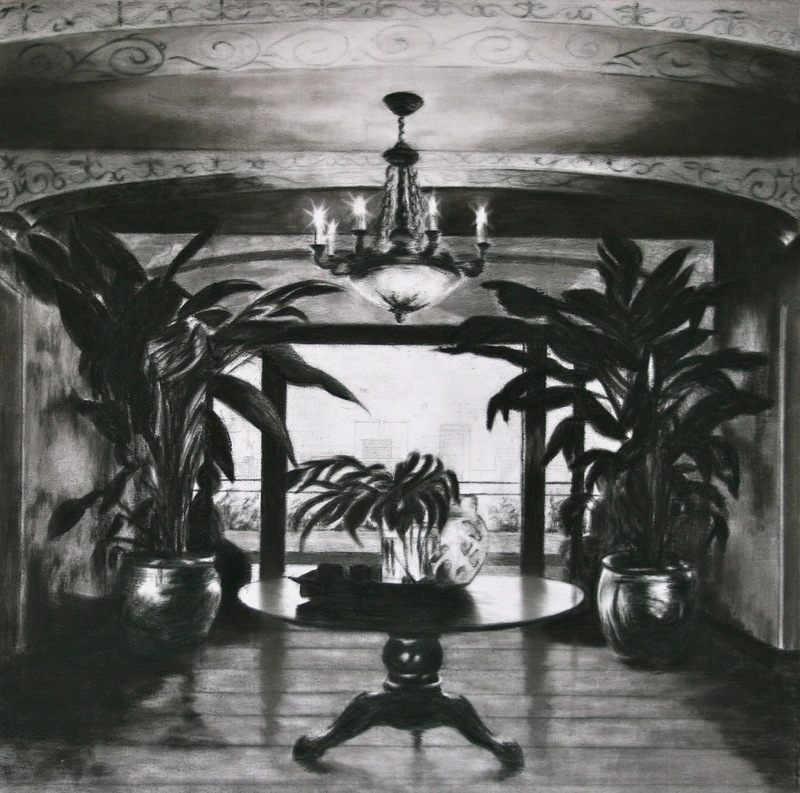 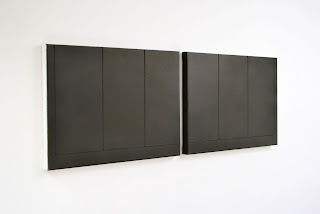 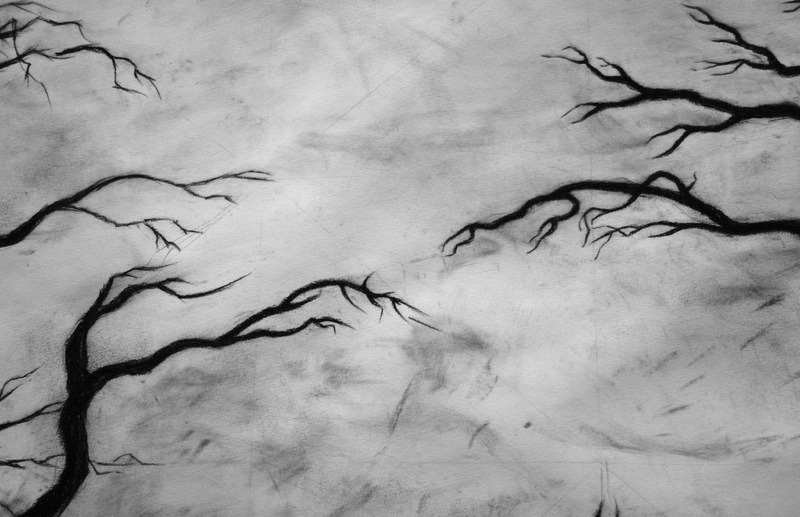 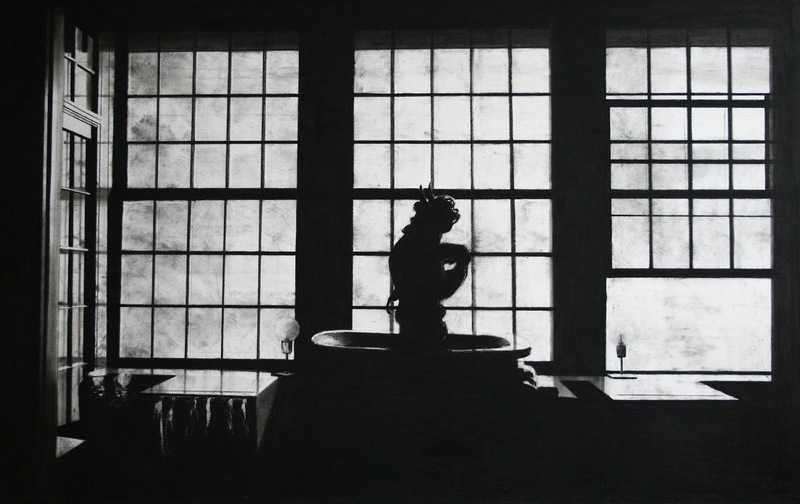 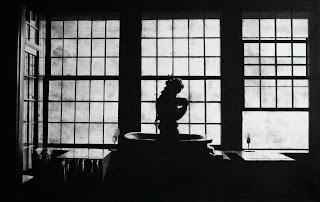 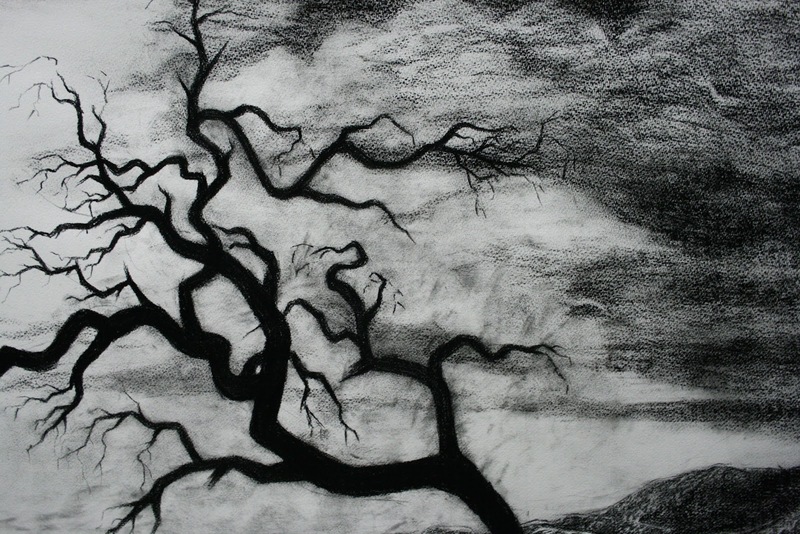 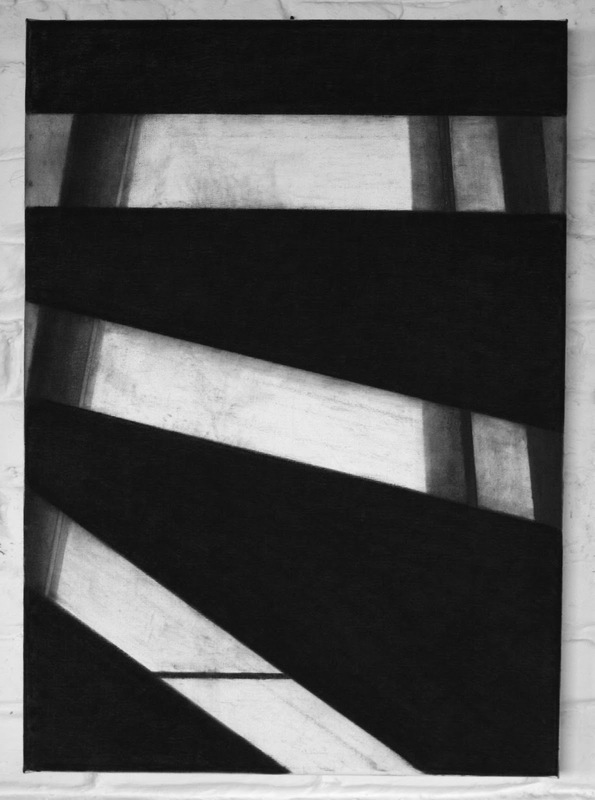 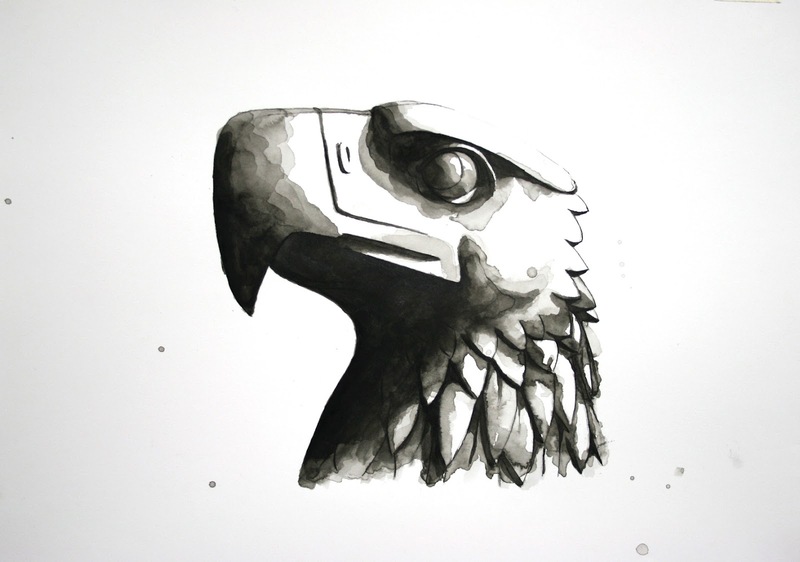 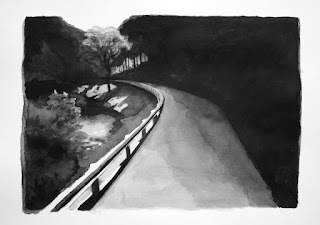 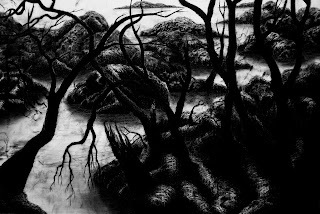 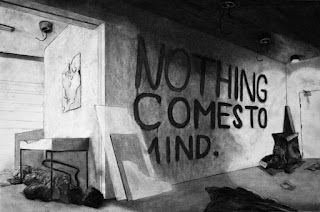 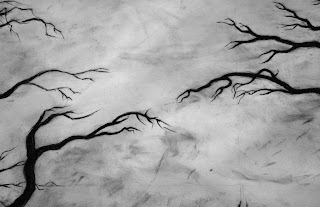 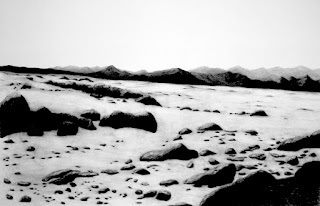 This manifests itself on the one hand in charcoal drawings on paper and canvas, on the other hand in large wall drawings, usually of a temporary nature. 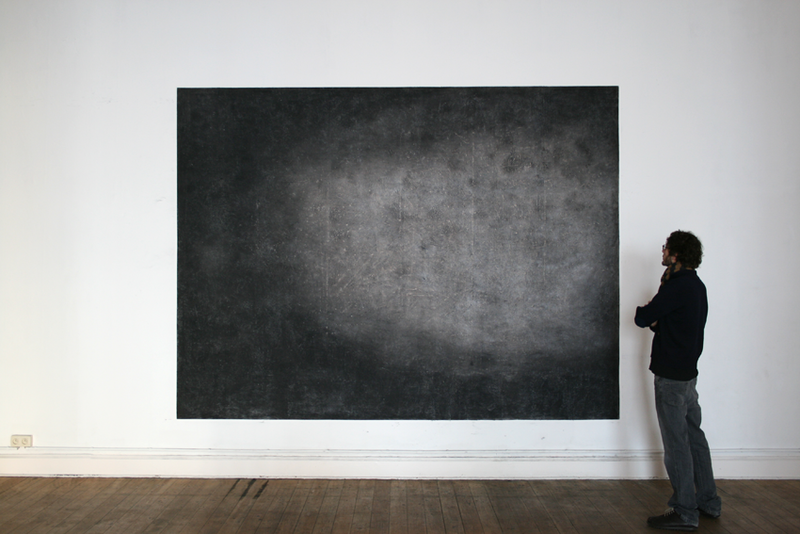 The location-related wall drawings previously resulted in monumental works. 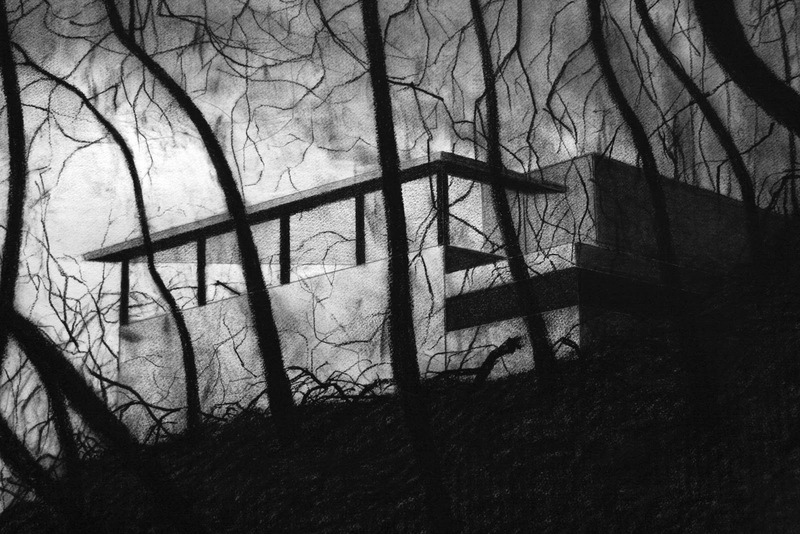 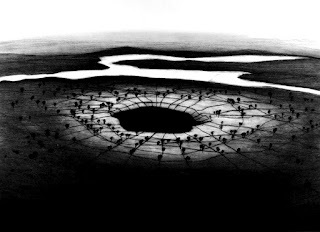 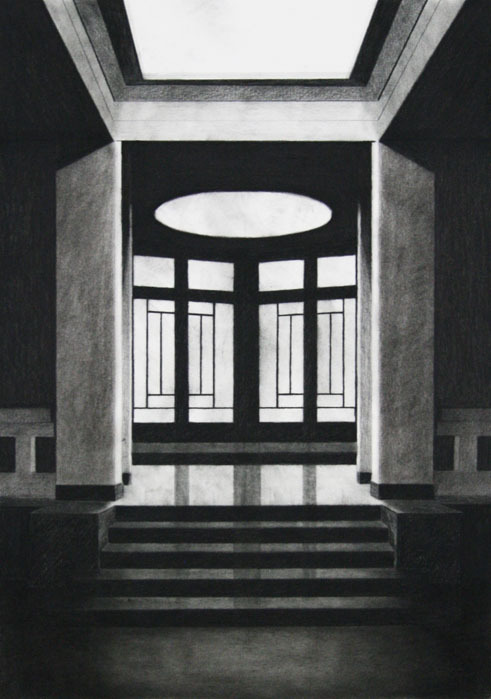 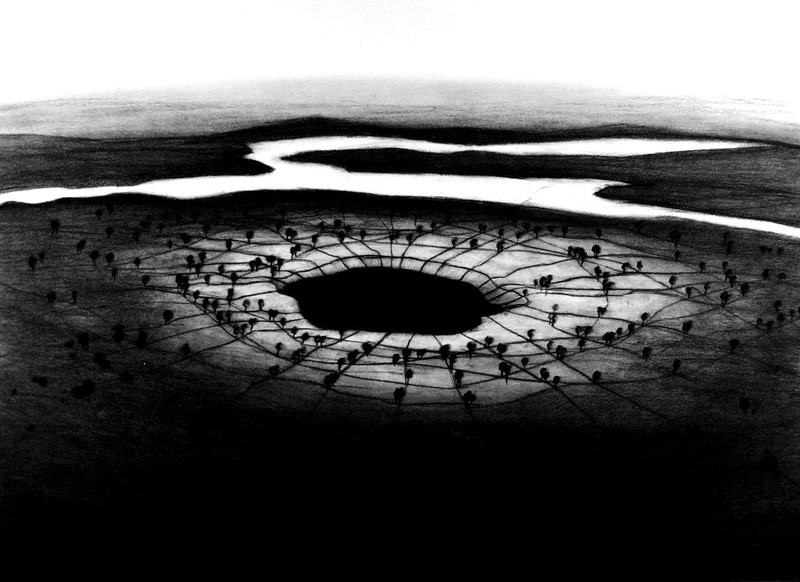 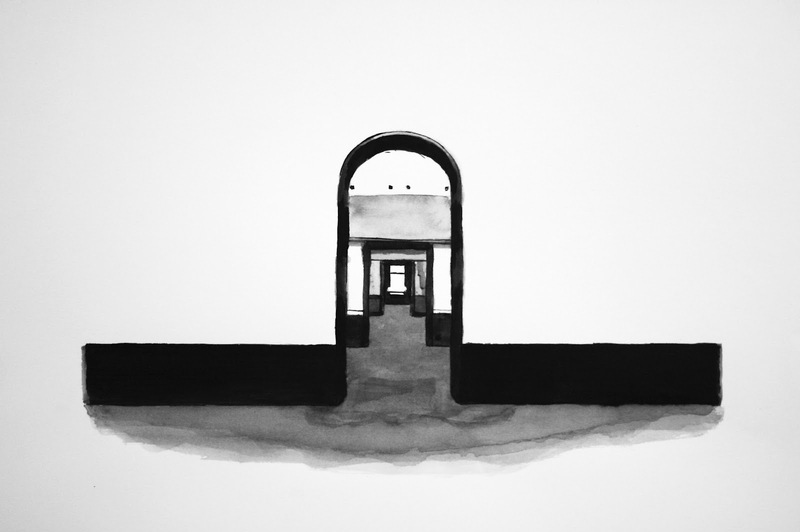 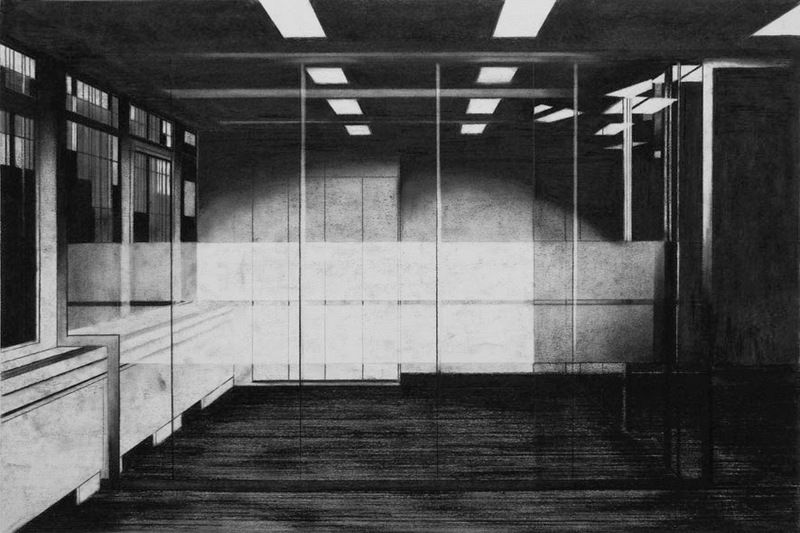 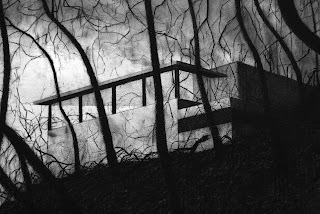 They function as a snapshot of the architectural space in which these drawings were made. 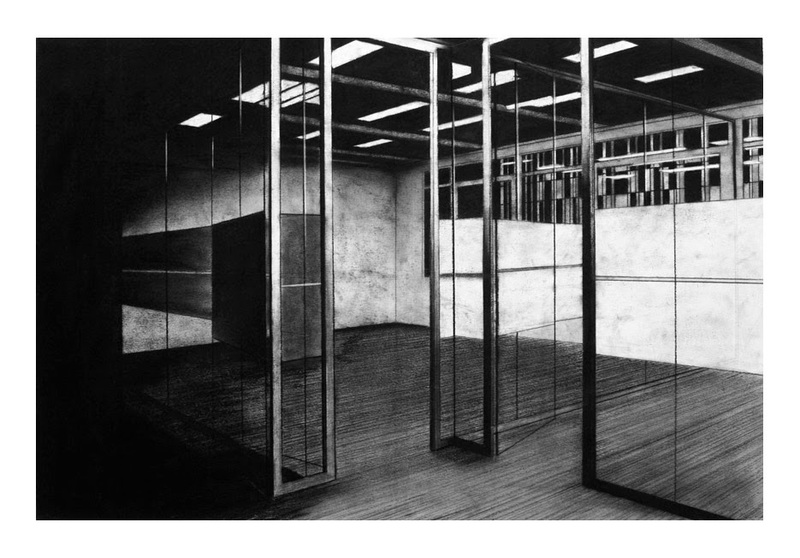 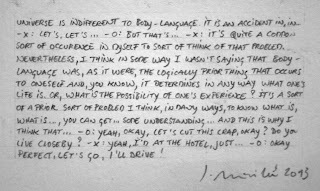 They intend to make the viewer aware of their physical presence in relation to the space in which it is located, of the perishability and temporality of the body, the "being" of both the architectural space and the spectator himself. 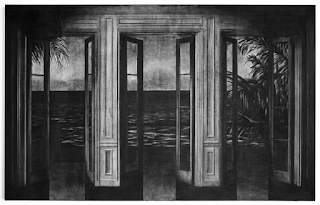 The earlier described questioning of the unattainable ideals versus the economic reality on the one hand, and the doubling of time and space on the other, are aspects that Joachim Devillé further developed into an absurd, utopian archeology. 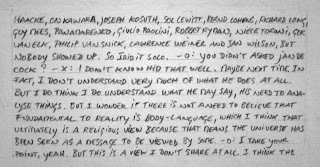 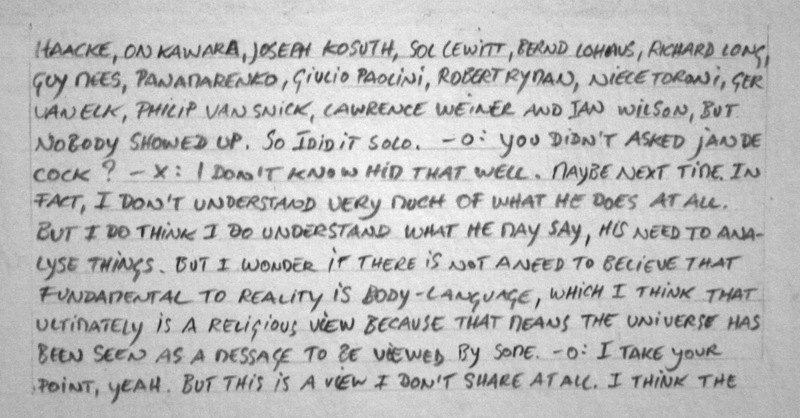 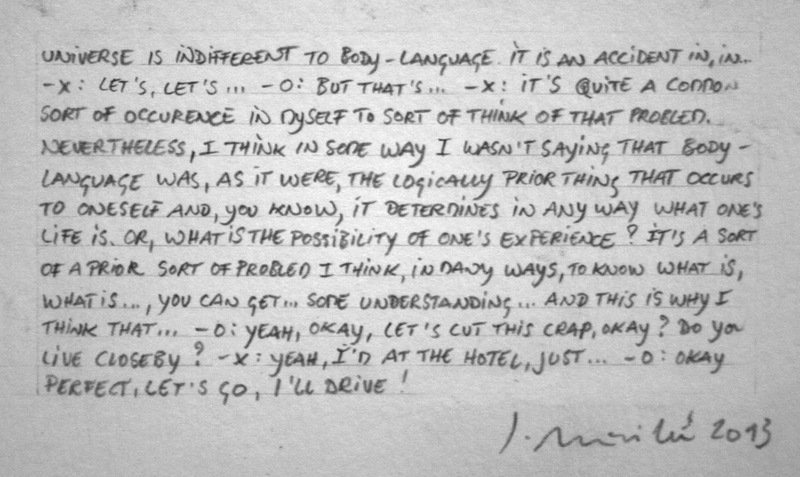 In these works he not only limits himself to drawings, but also extends the field to installations with sculptures, paintings, collages, posters, ready-mades and texts. 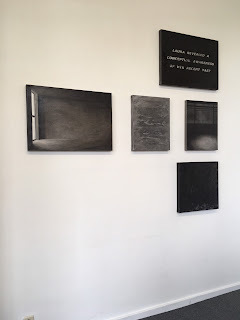 Writing these texts led to location-related lecture performances for Art and Speculative Futures (University of Barcelona, and Centra de Cultura Contemporania Barcelona, 2016) and Nichego Ni (CRAC, Centre de Recherche de l’Art Contemporain, Brussels 2018). 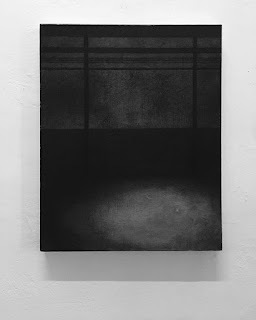 He investigates the current social mechanisms that form the ingredients of an illusory spirit of the times, in stark contrast to the physical and socio-economic reality and happiness experience. In this way he creates a universe in which these social structures are unraveled layer by layer. 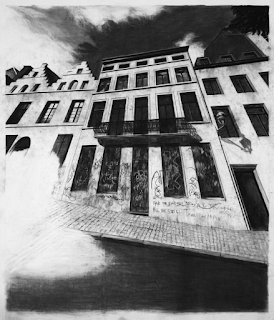 as well in Belgium such as Hommage (BOZAR Brussels), Visionary History (University of Leuven), Group Exhibition (Yugen Ghent), A Belgian Politician (Marion de Canniere Artspace, Antwerp), D.Art (Mechelen), Manifesta 09 satelite show (St-Jansschool Genk), Arture #6 (Pastorie Herzele), 10 Years KVDM (Zebra Street Ghent), A Silent Dimension (University of Leuven), Paradise (City Library of Leuven), and many others. He created solo and duo exhibitions in Belgium and Europe such as Intervention 4.O.G (Rathaus Charlottenburg, Berlin), Deux Artistes Belges (Matrix Art Project, Paris), Inside Emptiness (Tentoon, ’s Hertogenbosch, The Netherlands), Nichego Ni (CRAC Brussels), Goldberg Series ( University of Antwerp), Nothing Comes to Mind (LUCA Library Brussels), _Poem for a white chair and a black cat (Private Room Ghent), Snapshots and Minutes of Atomic Degrees (Mommen Brussels) and Une Absence en Appel (Hasselt). 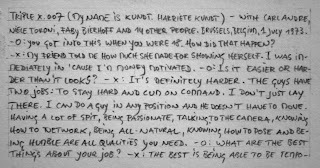 My name is Kundt. 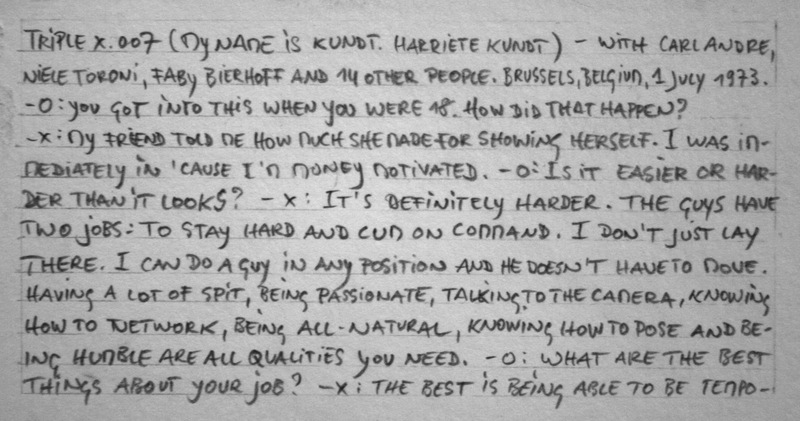 Harriete Kundt.